I.1. 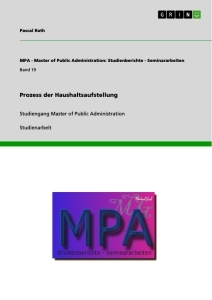 General aspects regarding the types and forms of analysis of public administration..
I.3. - Decision – element of the managerial activity .. The approach whose results are materialized in the thesis at hand falls within the general effort of the scientific community towards an interdisciplinary approach of several science branches. Scientific rigor, extremely necessary for such a process, requires the establishment of new fields of logic, as methodological and scientific fundament of the research approaches specific to different sciences. Therefore, logic associated to a science integrates organically in its content, creating a mutual impact between logic and the science in question, with consequences on the mutual development of the two. 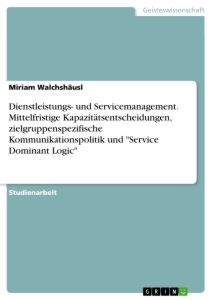 Until the present, the administrative sciences were not directly associated with coherent and specific systems of logic, even though we cannot forget their contribution to the approach and development of the administrative sciences. Most often, the logical mechanism used in the administrative sciences belonged to the legal logic, as well as to the modal or deontic logic. The extension of the research object of administrative sciences, their maturity and their emergence as self-sustaining scientific field, the creation and use of their own research methods support the need of an action to establish an administrative logic. As main actor in the execution of the general policies of the modern state, public administration, regardless of its level, develops its own administrative language, as well as its own administrative thought. Both the administrative thought and the language, with their specificity, develop concomitantly with the evolution of the processes of grounding and implementation of the public and European policies, of the integration in the European administrative space, as well as of the participation to the professional and cooperation dialogue with the other national or local administrations. 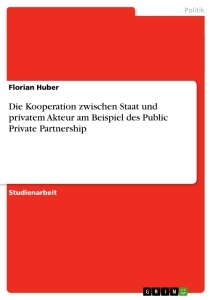 Referring to administration as a public business, the administrative logic we were speaking about is going to leave its traditional approach, based almost exclusively on logical formalism and will establish its object of research in the area of the administrative action as specific form of social action in the public administration. The administrative action grounded both on the normative framework specific to public administration and on the modern concepts of public management or governance, but also on the interaction between sociology and the political sciences, will offer the logical universe of the new logic of administrative action. Of course, the debate regarding the logic of the administrative action starts right at this moment. This is also one of the basic objects of the thesis at hand. The logic of administrative action will be considered as part of the logic of action. The fundamental references take into account the works of Georg Henrik von Wright or Lennart Aqvist. Greater compatibility with the logic of administrative action has the paper written by Aqvist, who performs the “defining of the praxeological modalities in the language of the decisional trees of Luce, Raiffa and Aqvist types, the building of an axiomatic system for a dyadic theory of the praxeological or actional modalities, as well as the identifying of adequate decision procedures”. - dynamic behaviour, depending on time, of the possible states and worlds considered successions of events and not logical aspects. - the conceptualization of the elementary and complex actions – as sequences of elementary actions. The logic system proposed by von Wright and developed by Aqvist offers, in our opinion, the conceptual and methodological infrastructure for the logic of administrative action. Of course, other adjacent systems and theories can be added, which, integrated in a singular conception, may constitute adequate content for the new logic of administrative action. To the works mentioned we can add those of Herbert Simon „Administrative Behavior: a Study of Decision-Making Processes In Administrative Organization”, as well as Mancur Olson “The Logic of Collective Action”. Simon considers that the decision making process is the heart of public administration” and that the vocabulary of administrative theory must be derived from the logic and psychology of human choice and it attempts to describe administrative organization in a way that will provide the basis for scientific analyses”. At the same time, Olson, with all the severe criticism received, indicates, in the context of the collective action which we are promoting here, the extensions of the administrative action towards the public goods. The author mentioned in his book the “rejection of the notion of an omniscient “economic – man” capable of making decisions that bring the greatest benefit possible and substitute instead the idea of „administrative- man” who satisfices – looks for a course of action that is satisfactory”. As shown by the authors, the building of a system of logic of administrative action must contain the specific elements that define administrative language. Administrative language will be a composing part of what Robert Catherine calls the „administrative style”. In the conception of the mentioned author, the administrative language will contain as composing parts the vocabulary, the administrative phrases and documents – elaborated in an adequate manner in order to support and express the administrative thought that is going to be modelled and/or formalized through logic. The last editions of Robert Catherine’s work bring into discussion the „new administrative style” which refers to the electronic administration, the ministerial reform strategies, quality in the public administration and normative simplification. The formal definition of the system of administrative norms, as well as the problematic of the description and assessment of the human behaviours from the perspective of the normative prescriptions will be able to represent an important junction of the logic of administrative action with the deontic and formal logic. The relevant contributions brought by Cornel Popa refer to the „unitary treatment of the systems of norms and normed actions” from the perspective of computer implementation of the normative prescriptions, of the agents’ behaviour etc. The literature highlights also a reconstruction of the „deontic systems from the perspective of formal languages”. The presentation of the so-called „deontic – praxeological system” (DPS) becomes the support of the logic of cooperation relations, of demonstrating the theorems of sentence logic, as well as of decision methods in DPS. Coming back to the statement made by Herbert Simon regarding the importance of decision in public administration, we can emphasize different models of cooperation logic, applicable in the problems of public decision: the probabilistic model, the defining of the concept of efficiency through formal logic. 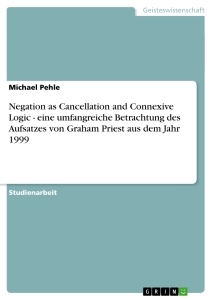 The thesis at hand falls within this context, attempting to illustrate several significant approaches regarding the logical grounding of public decision. We express the hope that the ideas exposed here, as well as the examples described, will generate an increased interest of the scientific and academic community meant to erect a system of logic of administrative action. Starting from the idea that public administration is a complex phenomenon, in order to be understood, it is necessary to use an interdisciplinary approach. Due to the complexity of this phenomenon, the science of administration has relations with several branches of science and with many scientific disciplines, among which an important role manifest: administrative law, management (in this sense emerging public management), economics (in the form of public economics), sociology (outlining a sociology of administration), psychology, theory of decision, logic (being able to discuss about a logic of the administration’s action, a logic of the administrative norms) demographics, informatics etc. 4) analysis of consistence of thought (of non-contradiction). “The main condition of a process of thought is argumentation (reasoning); where there is no reasoning, there is no thought, in the exact sense of the word, but mere expression of opinion or known information. An important place in the logical analysis is played by “logical formalization”. The work paper is structured on two chapters and conclusions and aims to analyze the level of applicability of the science of logic, in general, and of the logic of norms and actions (as branches thereof) in the sciences of administration, as well as the contributions brought through the science of logic to the analysis of the public decisions and of the administrative phenomenon. 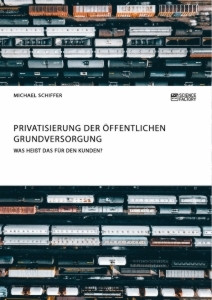 In the introductory chapter there were identified and emphasized the general aspects regarding the types and forms of analysis of public administration. In the first chapter of the paper there were presented aspects of theoretical order connected to the logic of action, modal logic, logic of norms, decision, public decision and the method of the decisional trees. In the second chapter there are emphasized by example: the advantages of using the method of decisional trees in the analysis of a public decision (to reduce the budgetary deficit) and of using the three indexes referring to the power of an actor to decide through vote: Penrose Index or the absolute Banzhaf Index, normalized Banzhaf Index and the Shapley – Shubik Index. Also here we noticed which are the results deriving from the logical analysis (from the perspective of the validity of the administrative norms, of deontic logic and of the logic of notions) of a public decision materialized through a normative act. The third part of the paper is dedicated to the general conclusions deriving from the research performed. For this work at hand there were established a few major objectives, but also a series of hypothesis which will constitute the main points of the paper. Objective no. 1: The emphasizing and clarification of the aspects regarding the logic of actions and the logic of norms and the establishment of their level of applicability in the administrative sciences. Within this objective, we aimed to define and understand the following notions and concepts: action, with its species: human action, social action, public action and administrative action; norm and its species; modal logic; logic of norms or deontic logic, but also dynamic deontic logic and the logical analysis of the power relations; validity of the administrative norms. Objective no. 2: Defining and presenting the notions of decision and public decision. In order to achieve this objective, the following aspects were treated: definition, classification and forms of decision, decisional process, characteristics of the public decisional process, but also the problematic of the administrative decision as species of public decision. Objective no. 3: Analysis of the concept of “decisional logic”, within which were touch the following research directions: the presentation of the elements of formal sentence logic necessary in the formalization process of public decisions; the presentation of a formalization model for public decisions; the execution of a logical – mathematical approach of the method of decisional trees as a method of analysis of public decisions; the presentation of certain elements of cooperation logic in the decision-making process. Objective no. 1: The execution of a characterization and analysis of the administrative norms from the perspective of deontic logic. This objective was achieved through the analysis of administrative norms present in certain normative acts (Constitution, Laws, Government Decisions etc). Objective no. 2: The construction and presentation of fictive, but also of real practical examples: one of them represents a possible scenario in which the method of the decisional trees can be applied as method of rationalizing the public decisional process. Here we built a fictive example of public decision of a state to reduce the budgetary deficit. Another example, this time real, is that where we calculated the values of a series of three indexes regarding the power of an actor to decide through vote: Penrose Index or the absolute Banzhaf Index, normalized Banzhaf Index and the Shapley – Shubik Index. Objective no. 3: The logical analysis of a public decision materialized through an administrative act with normative character. The objective was fulfilled through the execution of a case study, within which we presented a possible model of logical analysis of a normative act through which a certain public decision is materialized. This model implies a „multi-dimensional” analysis of the respective normative act at hand, both from the point of view of the validity of the administrative norms and from the perspective of the deontic logic and of the logic of notions. Hypothesis no. 1: Due to the complexity of the administrative phenomenon, for its research there is needed inter and pluri-disciplinary approach. Logic - „science of the correct thinking” – finds its applicability also in the research of public administration, this fact leading to the explanation of certain procedures and phenomenon and, in the end, to their development. b) from applied logic: modal logic, deontic logic or logic of the norms, logic and theory of decisions, but also the logic of the cooperation relations, which can be summarized under the name of logic of the action. Hypothesis no. 4: We find in the specialty literature models of logical analysis which can be successfully applied to the analysis of public decisions, the efficiency of such a model destined to an application in the legal, administrative of any other field of socio-humanistic investigations, depending directly, at the same time, on its formal qualities and on its correct interpretation, which not on few occasions imposes a reconstruction and a continuous rethinking of mane theoretical approaches. Hypothesis no. 5: We can discuss „logic of public decisions” with the following characteristics: it is an applied logic, it has its own vocabulary, has specific principles, analysis method and rules. In what concerns the methodology of research, the topic requiring an interdisciplinary approach, for the elaboration of the paper we resorted to the studying of the bibliographic sources from different fields of knowledge, among which we can mention: the science and theory of administration, administrative law, general management, public management, public policies, general logic, applied logic (logic of the action, modal logic, deontic logic, logic of cooperation), sociology, formal legistics, general economics, public economics and public finance. Apart from these, there were used general and specialty also dictionaries, their role being to clarify and support the explanatory approach, targeting terms and notions. In order to present the current level of knowledge in the interest field of the paper, the following research techniques and methods were used: office research (study of bibliographic sources in Romanian, French and English, existing in libraries, but also the electronic format ones), participation to conferences and internal/international communication sessions, participation to a doctoral research session within the Law Faculty of Montpellier 1 University in France. In order to build the examples necessary in understanding certain theories, principles and methods, but also for the case study, the following normative acts were studied: Constitution of Romania; Law no. 188/1999 regarding the Statute of public servants; Law no. 21/1991, law of the Romanian citizenship; Law no. 60/1991, regarding the organizing and running of public assemblies; Law no. 67/2004, regarding the election of the local public administration authorities; Law of the administrative contentious no. 544/2004; Law no. 258/2007 regarding the practice of students and the Order of the minister of education, research and youth no. 3955/2008, through which is approved the General framework of organizing the practice sessions within the university bachelor degree and master study programs and the Frame-convention regarding the performing of the practice session within the university bachelor degree and master study programs. The first chapter of the paper being an introductory chapter, it reveals the fact that in order to fully understand the administrative phenomenon we require an interdisciplinary approach. In this sense we first presented the general conceptions regarding the sciences that research administration (the science of administration, the science of administrative law, public management etc:), as well as the relationship of the science of administration with other sciences. The true scientific knowledge of the administrative phenomenon is outlined only at the beginning of the 19th century, with the emergence of the science of administration, respectively of the science of administrative law, even if passing theoretical constructions have existed since the ancient times. There must be remembered the fact that the emergence of the science of administration raised from the beginning several issues regarding its autonomous character, its nature and methods and, in this context, with respect to its border with the science of administrative law. “The most renowned representative was Lorenz von Stein, the author of one of the first works in this field, “The theory of administration”. However, the first representative work is edited in France, in year 1845, author being Alexandre-François Vivien, who, together with Charles-Jean Bonin, is the founder of the science of administration in France. In the foreign specialty literature, the research directions regarding the nature of the science of administration are diverse, ranging from the exacerbation of its role and considering it as a philosophy of administration, and until the total denial of the existence of this science”. Thus, throughout time, the science of administration was considered as being a social science, an economic science, a political science, a second degree science, an introduction to the science of administrative law, a technical science, a branch of the management science etc. Formulated for the first time by the French doctrinaires, it was taken and developed n our country by Professor Constantin Dissescu from the Bucharest Law Faculty. Paul Negulescu “claimed that the science of administration, being a political science, does not have a judicial character, but targets the critical analysis of administration from the viewpoint of resources, means and results, formulating, on the basis of the discoveries made in the administrative mechanism, rules that, applied to the administrative activity, to lead to the increase of its efficiency”. It is considered that “science of administration, integrating in the system of political sciences – having a theoretical-explanatory character – can be considered also a praxiological discipline, because it targets efficient human action”. It must be mentioned that the science of administration has close relations to politology and sociology, but also with the other social sciences studying segments of the administrative mechanism through their specific viewpoint. Thus, we mention the connections of the science of administration with psychology (labour psychology, human resources, ergonomy), logic, demography, ethnology, economics, history, geography etc. In what concerns the application of logic in the realm of the science of administration, this leads to the explanation of certain procedures and phenomena and, finally, to their development. The problematic of “interdisciplinarity” in the research of public administration is also present, resorting to the juxtaposition and integration of the disciplines, but also to pluridisciplinarity. Interdisciplinarity presupposes phenomena, concepts and general laws common to several disciplines which analyze in contexts as varied as possible, in order to emphasize the multiple facets and their applicability possibilities in the sphere of different disciplines. By means of interdisciplinarity is favored the horizontal transfer of knowledge from one discipline to another. In the work „Expose de quelque concepts fondamentaux”, G. Văideanu shows that „interdisciplinarity implies a certain degree of integration between the different fields of knowledge and different approaches, as well as the use of a common language, allowing exchanges of conceptual and methodological order”. – the relative interdependence of theories in relation to facts. Basarab Nicolescu distinguishes three degrees of interdisciplinarity: applicative (for example, the methods of nuclear physics are transferred to medicine and a new treatment for cancer appears), episthemological (for instance, the transfer of methods from the formal logic to the general legal legislation) and generator of new disciplines (for example, the transfer of the mathematical methods in physics has lead to the emergence of mathematical physics). Interdisciplinarity is opposed to monodisciplinarity in what concerns the resorting to several scientific disciplines in order to know the same object. At the same time, it is distinguished, on the one hand, from pluridisciplinarity - in this case, it is called multidisciplinarity – by the fact that (while the “multidisciplinary character” is ensured by the simple fact of the variety of disciplinary efforts, research is interdisciplinary to the extent to which it borrows from several disciplines “instruments and techniques and, even more, when it uses conceptual schemes and analyses which can be found in several fields of science, for the purpose of making them converge, after having compared and judged them. Interdisciplinarity in administrative research has two main objectives: first of all, the exploration of the border areas, of those areas in which a science, alone, is helpless in making light and, secondly, it must allow the unfreezing of what Jean Piaget calls a “hibernation” of knowledge in matter of administration. Interdisciplinarity, performing the hybridization of science, has a determining role in the administrative research. This expression must be understood as designating the emergence of species “more balanced and better adapted than the pure genotypes”. It is the same kind of phenomenon that interdisciplinary research must produce: it must trigger, indeed, “the multiplication of new branches of science born from the conjugation of the neighbouring disciplines”, but undertaking, in fact, new purposes, which reflect on the mother-sciences, enriching them. Within the third sub-chapter, we performed a short analysis of the public administration system (as cybernetic-type system), focus being placed on its inputs (material, human, financial and informational resources) and outputs (public decisions materialized in normative acts, action programs, public goods and services). The presentation of the theoretical aspects within the same chapter allowed us to draw some conclusions. Starting from the idea that administration is a global social and human phenomenon, which is not reduced to a system of norms, it can be stated that its study cannot be reduced merely to the study of administrative law. In conclusion, it can be stated that interdisciplinarity is essential in the research of the science of administration, because only by integrating disciplines we can achieve a complete research of the administrative phenomenon. In what concerns the application of logic in the realm of the science of administration, this fact leads to the explanation of certain procedures and phenomena and, in the end, to their development. With the help of the systemic analysis it is possible that the effects of certain changes be modeled and anticipated, given that this method implies the performing of a very thorough analysis of the system elements/components. The public administration system must function on the basis of the principles of the “new public management – based on the importing of certain theories (one of the most important being the theory of the 3 E’s - economy, efficiency and efficacy) and practices from the private sector and on the exporting of goods and services. From the research performed within this chapter, we deduced that the logic of the norms (deontic), even if it is at the beginning, and its applicability in law and in the science of administration is limited for now, it is obvious that it superimposes better than any type of logic on the structure of the arguments or reasoning that uses legal norms and, in particular, administrative norms. Starting from the idea that the normative acts in which we find legal (administrative) norms are abstract and general, the solutions of the logicians in the analysis of the legal systems are especially complex and sometimes unsatisfactory. The applicability of the logic of the norms (deontic) in the practice of elaborating and interpreting normative acts, even if it exists, is limited at the time only to the level of the specialists. - regarding the sanction of the administrative norms, in general, it is not expressly contained in the text of the normative act, going to be logically deduced from the content of the respective norm. Lewis, P. “Herbert A. Simon Dies at 84; Won a Nobel for Economics”. New York Times, 2001, p 13. Starting from the idea that public administration is a complex phenomenon it is necessary to use an interdisciplinary approach.Due to the complexity of this phenomenon, the science of administration has relations with several branches of science and with many scientific disciplines, among which an important role manifest: administrative law,public management , economics , sociology ,psychology or theory of decision.The work attempting to illustrate several significant approaches regarding the logical grounding of public decision.